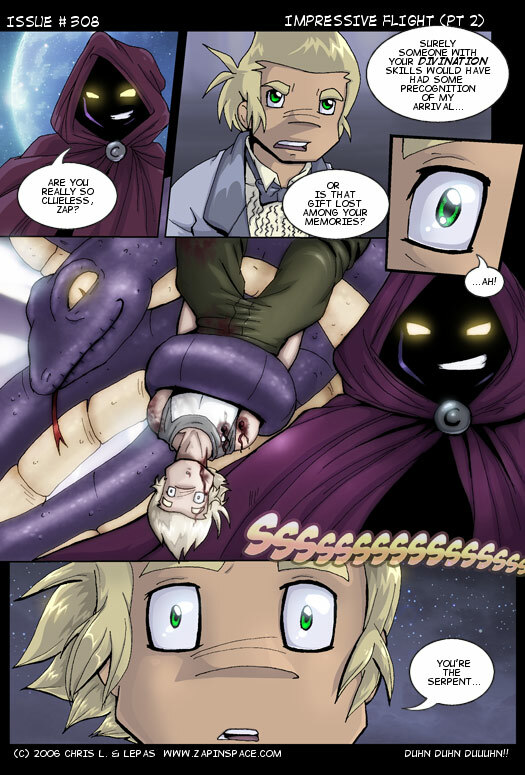 I think a lot of people assume that when Zap says “you’re the serpent” that he’s talking about the Serpent character. He’s actually referring to the monster in his dreams, they just happen to be the same. Crazy psychics! Well, at least he made that connection!